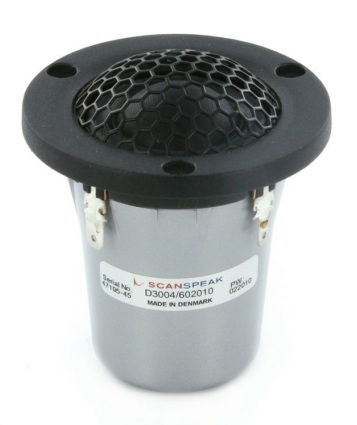 The D3004/602010 is a 4Ω tweeter from the ScanSpeak Illuminator series. In a compact design, using a powerful neodymium motor with an under-hung voice coil configuration together with a large linear excursion capability the D3004/602010 share similar qualities with its larger Illuminator tweeter siblings. 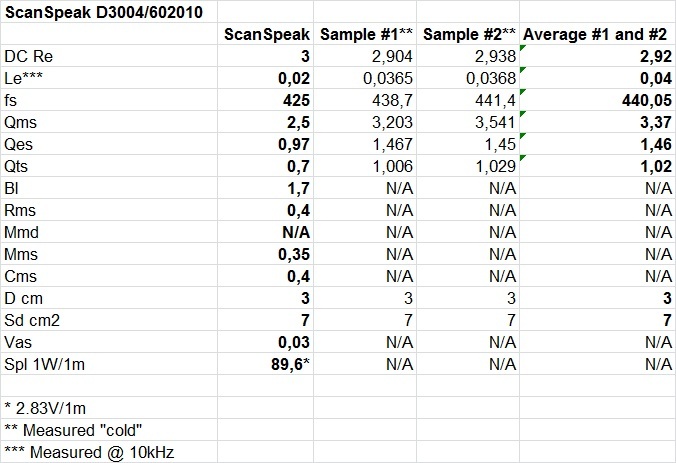 Very good consistency between the two tweeter samples and they match very close to the manufacturer’s specification. Small impedance hump @ 1.5kHz. 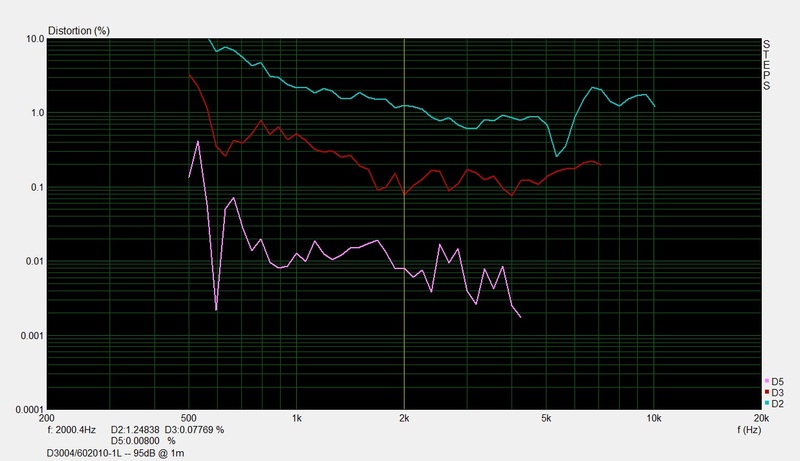 Slightly lower impedance peak at Fs for tweeter sample #1, otherwise virtually the same impedance between the samples. Baffle size (WxH): 24×51cm with 12mm round-over. Driver position: Mounted on center-line with driver unit center 7cm from the top of the baffle. The two tweeter samples measures virtually the same, which indicates good consistency in the manufacturing process. Relatively smooth on-axis response between 2-6kHz with a slowly rising response from 6kHz up to about 14kHz where it drops. 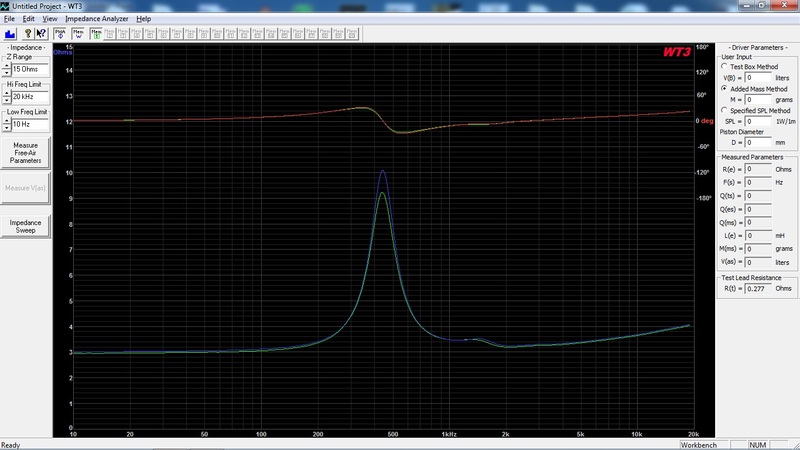 Measuring from 15deg off-axis the response is smoother with slowly dropping highs from 15kHz. Very low odd-order distortion even at higher levels and somewhat elevated second-order distortion, which rapidly raises below 2kHz. This tweeter should be able to work nicely crossed-over at 2kHz or higher.